Dalcio Gomes is four years younger than than his team's average age, as he was born on 22.05.1996. Dalcio Gomes is a male midfielder from Portugal, who has been playing for CF Os Belenenses in Portugal since July 2, 2015. 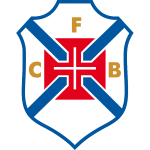 These days, his team CF Os Belenenses comes seventh place in Primeira Liga (Portugal). So far in the 2018/2019 season, he competed in 20 fixtures. With a height of 1.86m, Dalcio Gomes exceeds CF Os Belenenses's mean tallness by 4. 34% of CF Os Belenenses's football players are left footers and so is Dalcio Gomes. His jersey displays the number 8. He impressed in Segunda Liga 16/17 (Portugal), reaching his personal record of assists as well as match appearances. Besides Dalcio Gomes, there are six more midfielders in CF Os Belenenses's lot: Nuno Coelho, Andre Santos, Matija Ljujic, Jonatan Lucca, Eduardo Henrique and Merlin Tandjigora. So far this season, he tied 50% of CF Os Belenenses's matches in Primeira Liga. Unfortunately they did not manage to wrap up a single fixture, but at least tied four times. While being substituted more in than out this season, we can observe that this trend came from last season. However, he shows 30 out and 29 in substitutions in total. Dalcio Gomes' longest stay in a team counts three years and 10 months in his current club. 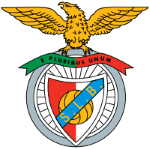 Besides playing for CF Os Belenenses, Dalcio Gomes additionally is a member of Benfica Lisbon B. 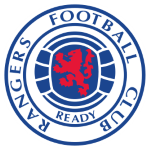 Before joining CF Os Belenenses, he was engaged in the squad of Rangers FC. Just three days ago he played his latest match. Dalcio Gomes' shortest stay in a club has been five months in his present-day squad. In his footballer career, a total of 13 cards were ascribed to Dalcio Gomes. While thus obtaining an average of 1.44 cards per term, he has not even gotten any yet, for now. So far in his career as football player, he was part of three clubs. Considering he weighs around 160.94lb, Dalcio Gomes is approximately 6lb lighter than the average player of CF Os Belenenses.